Heat oven to 400°F. In large bowl, mix butter, 1/2 cup icing sugar, the vanilla and egg. Stir in Bisquick™ mix and nuts until dough holds together. Shape dough into 1-inch balls. On ungreased baking sheets, place balls about 1 inch apart. Bake 9 to 11 minutes or until set but not brown. Immediately remove from baking sheets to cooling racks. Cool slightly. 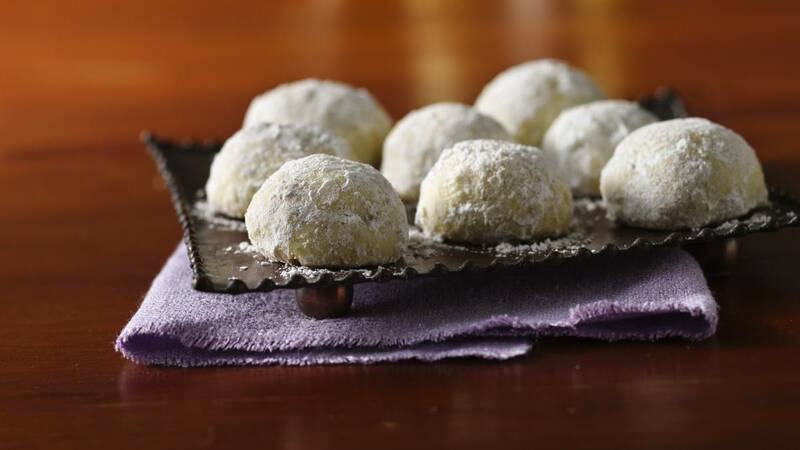 Roll warm cookies in 1/3 cup of the icing sugar; place on cooling racks to cool completely. Roll cooled cookies in remaining 1/3 cup icing sugar. Special Touch These rich little cookies are extra-special when made with macadamia nuts. Gluten Free Tip Cooking gluten free? Always read labels to make sure each recipe ingredient is gluten free. Products and ingredient sources can change.